Tucked away between China, Burma and Bangladesh, and linked to the rest of India by a sliver of north Bengal that arches over Bangladesh, India's north-east is a region of amazing grace - charming people, ancient cultures and bountiful nature. As any shrewd observer of the world would deduce from this, it is a region of contested claims, strife and anarchy. The eight states of the north-east comprise a region of diversity - multiple religions, dialects and tribes, each with its distinctive culture and history. 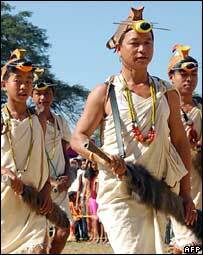 In Mizoram there are the Bnei Menashe, who claim to be Jews, descendants of the ancient tribe of Menasseh. Then there are groups from as near as Bihar, such as the Adivasis who came to work in the Assam tea gardens and stayed on. Their claim to special rights, granted to "original inhabitants", is contested by the local people, who argue that they lost that status by their move, for they are not original to Assam. Some of these contests acquire a farcical dimension, such as when China welcomed but refused to give visas to some delegates from Arunachal Pradesh on the grounds that China considered parts of that state to be Chinese. India meanwhile insisted that China must insist on visas. Of all the states of this region, the most troubled is Manipur. I flew into Imphal, Manipur's capital, by a short Indigo flight from Guwahati on the morning of 8 January. Ryszard Kapuscinski is known to be the great travel writer of our times, but he was more than that. He was a philosopher, an astute and compassionate observer of the human condition. When Kapuscinski journeyed to remote lands, he carried with him the greatest travel book of antiquity, Herodotus' Histories. Out of this experience came his own masterpiece, Travels with Herodotus. I am doing what Kapuscinski did, but at one remove - I am travelling with his book. I arrive in Imphal with a blinding headache and flop down in bed in my artlessly large room in Hotel Nirmala. I try to read, but fall asleep. When I wake up, the winter sun is streaming in through my open windows. From my balcony I can see the chaos of Thangal Bazar - tarless streets, unkempt roof-tops, half-cemented buildings, the anarchy of low-hanging electric wires criss-crossing in different directions and tapped from below by small shops with rusty tin roofs. The flashes of colour come from the women, in their stunning phaneks - sarong like wrap-arounds - and shawls. They seem to be endowed with an effortless grace. There are few signs of the famous Indian economic boom here. This is a region of a collapsing economy, huge unemployment, and interrupted power supply. I was assured that at most times it was safe to touch those exposed wires. At night I go for dinner to the home of an old Manipuri friend. It is a picturesque three-hundred year old house, with a quaint courtyard, mysterious stairways, muslin curtains and melodious wooden floors. To get there one has to drive over a rock-strewn and dug-up road. It has been under repair for four years. When we reach the house, there is a power outage and we sit by lanterns and candles. On the way back there is not a soul in the streets - life is too insecure for that - and my hotel has pulled down shutters from the ceiling which are bolted to the floor with padlocks. 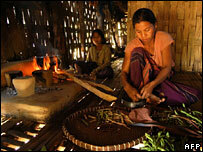 The people of the north-east have high human capital - Mizoram's literacy rate is second only to the state of Kerala's. And it has a history that goes back 2,000 years. Ratan Thiyam's Manipuri theatre is famous internationally. An 11-year old boy, Honey Kenao, plays the tabla like a grand master. He is a prodigy - we will without doubt see more of him. At various institutes and universities where I speak, the discussion is lively and engaged. But beneath this, the region is simmering. 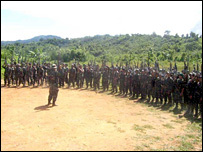 Insurgent groups routinely extort money from bureaucrats, shopkeepers and professors. Kidnappings are frequent. Trucks on highways are often stopped by competing local powers and either have their cargo confiscated or are allowed to pass after paying a "tax". Hardly any new industry worth its name is moving into the region. There are three immediate measures that the Indian government needs to take. India has to clamp down on extortion and make it clear that the collection of taxes and exertion of force is a prerogative of government. As Max Weber had reminded us, the state must have a "monopoly of violence" - meaning, if anybody has the right to use force, it is the state. Roads, railways, financial services and electricity provision all need more money and all lag behind other points of India. If the region remains cut off from the rest of India, there is every possibility that it will erupt into internecine warfare of a kind not seen in India before. And that will be extremely unfortunate for a region that has so much potential. I completely agree with the writer's viewpoint. I had a chance to travel to North East and noticed the same thing. There definitely has been some apathy from the government which has led to the current situation. The real problem is lack of understanding from the mainland of India of what these groups want. The central government is meeting force by equal or more force instead of skilful negotiation, more development funding and creating more opportunities. India should try to unite the seven states into one unit which will stop the current divisiveness. It's a shame that for many decades India's government, politicians and statesmen continue to ignore the NE states. I have worked and lived in North-Eastern India for about 7 years and having worked with the locals, I felt that the fruits of economic development never reached these people. These people, in my view, were always treated as second-class citizens. All the stakeholders involved should put in concerted efforts in addressing the major concerns of the people and work towards a sustainable and meaningful solution which will help all sections of the society. In this day and age, when pollution is strife in rest of India, this beautiful North Eastern region could be a show piece from eco-tourism perspective for foreign tourists. Things do not improve in the North-eastern part of India because of corruption, both official and unofficial. Each competing force of lawlessness is blaming the finger at the other. Rule of law is a concept which most Indian politicians at the state and federal level privately scoff at once they get elected to positions of power. Even today, basic law enforcement is a challenge to the ordinary police officer for most part of the country owing to lack of support from the government. Lack of or absence of the rule of law cripples India and keeps it as a third world country despite rich natural and human resources. The Indian political apparatus needs heavy investment in rule of law in letter and spirit for economic and socio-political advancement of the whole country. The north east states of India have been neglected historically by successive governments and due to linguistic/racial/ethnic identity & diversity, the NE people have also been late in assimilating with the mainstream. The only way to bring the region to focus is through direct highways through Bengal to those states and investment in industries. Mr Basu's analysis into the troubles of the North-Eastern States is quite remarkable in its refusal to legitimate the demands of the peoples in that region. That is, Mr. Basu, like so many other Indian writers, regards the militant groups as mere miscreants bent on extorting money, and no attention is paid to the alienated masses of the region who have for over fifty years suffered under the brutal yoke of a thick and omnipresent Indian military occupation. Mr. Basu's remedies for the region are woefully inadequate so long as he continues to deny consideration to the legitimate aspirations for self-determination amongst the peoples of the North-East. The troubles in the North-East cannot be solved by investment and interaction from New Delhi if the people of the region wish to cut themselves off from the centre. Excellent commentary from Prof Basu. The sad part is that the three measures mentioned by Prof Basu have been so obvious already for so many years that the real question is why has the situation on these fronts not become significantly better? First of all, I am very pleased to see an article on this from the BBC. The NE region of India has been left neglected for many decades. The Indian government ignored the region as the states do not constitute enough vote power in parliament but have subsidised the states to keep the local politicians happy and the region limping along. It also does not help that the local insurgents, in the name of freedom movement, are tearing the state apart instead of promoting entrepreneurship and growth. My heart bleeds every time I visit my state. I was born in Manipur but, as often is the case in 'war'-torn regions, left many years ago. My wife is not an Indian citizen and when we went to get married in Imphal, the Indian government refused to issue her a Restricted Area Permit, a permit compulsory for all foreigners travelling to the state/region. She was issued a permit after I challenged the then Chief Secretary to give me a good reason why I should feel part of India when I can't even get married in my own home state. You tell me! The only news one gets of North East is insurgency. That border regions need special attention, should be part of the geopolitical policy and reality. I have watched for a north eastern face in Hindi movies - it is prominent by its absence. North East is not on India's psyche. This should be the first step. it is a step that both government and the NGOs need to take. I must congratulate Kaushik Basu having brought to light a vital issue for people of India . Having been born and brought up in the North East (Assam and Meghalaya), I agree completely with this article. India needs to wake up to the plight of its citizens in that troubled region if it has any claim to being a democratic country with the good of its people at heart. You have stated "interaction" to be one of the solution for such disharmony. But let me tell you about the story of any North-eastern person who have interacted with the rest of India. First and foremost, The Indian Government needs to educate the rest of India about the existence of the North-eastern states. At our school geography books we have just 1 or 2 pages mentioning about the diverse cultures of the North-east. And the average Indian student just skip through that page. You may wonder, that will not be harmful. But it is. People from the North-east are sick and tired of being asked if they are from China or which country Mizoram or Manipur belongs to. There is always that level of insecurity among every north-eastern student you see in India, the way they are excluded from any group and the way they are racially discriminated. People from the North-east can never have that "sense of belonging" with India when they are treated so differently by the rest of India, even if they really try to. And these same people go back to their respective states telling their kindred about the discrimination they faced in Mainland India. And they in turn have a preconceived notion about India that they will not be welcomed. The root of the problem lies with education. I agree wholeheartedly. I recently travelled through rural and urban Assam and it is disheartening to see the disproportional development going on. Since I was on a self-guided wildlife tour of India, the tourist facilities available in Assam were minimalistic and out of touch with the realities of a booming Indian tourist industry. While that suited my budget-travel student needs, local development cannot be sustained without considerable investment of resources by the government of India to make sure the north-east does not suffer the over development that has ruined ecosystems around India. But it should ensure that the north-east undergoes sustainable and eco-friendly development as a model for the rest of the world. I completely agree with the Author. Most of Indians don't know much about these north-eastern states, (i wonder some times, does the government know ??) often called as sister states. There are so many conflicting reports and stories about Arunachal Pradesh and Meghalaya, one would wonder how the government is going to answer the public concerns. Well written article. From my experience, I think that the government should also advertise more of North-East to the rest of India so that people feel that its also part of India and there is also more than just extra land. If you really ask people, I bet that they hear about North-East only from people who are in the military because they are posted everywhere. Thanks for the observations. I have travelled quite a few north eastern states (infact I was born in Meghalaya). The solutions are pretty obvious to any literate observer and I am sure our government hires enough(may not be percentage wise) of them. But instead of providing these, could you maybe give more insight on why this hasn't been happening for such a long time and even though the efforts you mention are ongoing, why are they easily disrupted by the insurgents. I have lived in the North-East for many years. More money from the government of India has flown into this region per capita than to any other part of the country. Politicians, insurgents and government officials have helped themselves to this largesse. There have acquired lots of estate and other assets in the North-East, other parts of India and even abroad. Prime Minister Manmohan Singh visited one of the states in the North-East last week and announced more goodies. No doubt politicians and insurgents will feel happy. Appreciate that you have taken the pain to visit and learn the cause why North East India is so backward. I happen to come from Shillong. I totally agree to the measures you suggested. But before that the local people should open themselves from the fear of cultural destruction. Being Indian myself, I need to take special permit to visit part's of my own country. If someone tries to do something for the people of the state vested interest will try to pull it back. What can a government do when people of the states refuses to implement any projects. Kaushik Basu writes as if he is ignorant of the life of a common Indian man or woman. Save some flashy places and people here and there, India continues to reel under utter lack of basic infrastructure. Outage of power, scarcity of water - drinking or not, bad road are ubiquitous. Extortion and ransom are also not uncommon in places like Bihar and eastern Uttar Pradesh. A visit to Bihar would be suffice to reveal a similar if not identical situation to Manipur. Manipur cannot be isolated, rather its situation may be generalized to most of the northern India. This is an excellent article but it fails to point out something obvious - namely, India is too big and diverse to rule and manage from New Delhi. Just as the old Soviet Union discovered that it could not hold on to its vast empire, India will have to come to terms with an independent array of states on its north east border. It seems Mr. Basu is looking at the region through an Indian perspective and being prescriptive in the same vein. But, me born in Assam and having close association with the indigenous people across the region through my human rights work have come to understand that the indigenous inhabitants do not accept the region as North East of India. Although majority of them find it difficult to give a name to carry what they wish to mean, I have come across references that the region is being identified now a days as East South Asia; which perhaps is quite appropriate as they see this region is apart from India. India's violent campaign to oppress most of this region has been on going from adopting of British drawn Armed Forces Ordinance of 1942 to prevent independence of India into the Indian Statue book as the Armed Forces special Powers Act (Assam and Manipur). Mr Basu may not have time to interact at length to realise that under the blanket of little said or unsaid things the stark realisation of the indigenous inhabitants is that only way they can survive with their special identities is by restoration of sovereignty of the nations which were colonised by the British India administration and later the region ending up inside the Indian union. I believe they do have the right to self-determination as enshrined in the United Nations charter and India should honour it. Prof Basu hasn't written anything that's not already known or understood. Yet I would like to thank him for at least writing about his experience and opinions about the region. However he did not mention about sports in Manipur that has given the country some of the finest sports persons. His point about improving interaction sounds fine but how does one do it? The media likes to cover only insurgency related news. I wonder how many know that India has a three-time world champion in women's boxing from Manipur. Even renowned writers (Naipaul, Tully) who write about 'India' give the region a miss. Prof Basu's warning needs to be taken seriously. The North Eastern region of India is a treasure trove not just of tea, oil and gas, hydroelectricity or tourism but also of simple yet dignified men and women who are still struggling to find their place in the sun. The Indian government has definitely ignored the North Eastern portion of India. Apart from PA Sangma and Danny Denzongpa, hardly anyone from the North East is well-known. As an engineering student in Pune (western India) we had one student from the North East in every class. That's one of the ways in which the Indian government is trying to help the people of those states. The sad part is that most people will refer to people from the North East as "Chinese". To be treated as a foreigner in one's own country is truly wrong. I agree with the solutions Mr Basu has pointed out in the article above. Hope there are some smart people reading this article too. Another patronising article from another wise man of India , who went to Manipur for a day or so and found the CURE, apart from diagnosing the illness. Mr Basu is a visitor to the North East and does not seem to have any understanding of the problems of the North East, and as such the article is rather without any depth. The North East is only 4% of India's population but has about half of India's total 600 ethnic groups and produces about 40% of India's oil and 50% of India's tea. The solutions presented by him are the same solutions anybody would suggest superficially. As a person from the heart of Assam, I believe a big part of the problems of the North East is rooted in the complex geographical and socio-ethnic cultural system of this minority population combined with lack of strong local leadership and lack of understanding of the complexity of the problem by the central leadership resulting in inefficient and unhealthy centre-state relations. Insurgency is a scapegoat for underdevelopment. India has its own problems to give the required time or focus to the problems of the North East. Illegal immigrants have been pouring through the porous border for the last 60 years from the south from Bangladesh. In Kaziranga National Park, the world's only one horned rhinos are being killed in broad day light at the heart of Assam on the average about 16 Rhinos per year for the last 60 years. Today North East seems to be nobody's land, and everybody seems to be just making money at the expense of the poor people. North East India is a region, which India can neither govern, nor it can let it go. God saves the North East. First, I would like to congratulate Prof Basu for his nice write up. It has brought up some of the issues that need to be addressed. However, it would have been more complete if he had included the other side of the story i.e. the political struggle. To many of us, it is hard to understand why India is not giving enough thought to the aspiration of an ancient civilisation i.e. Kangleipak (now Manipur since 18th Century) South East Asian civilisation. Once the political struggle is settled, putting up some material infrastructure could be done in no time. 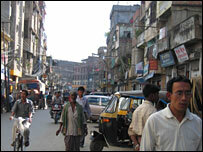 I was born and brought up in Guwahati for the first 17 years of my life. While growing up I vaguely recall my parents and their friends angrily discussing how Nehru had almost bid "good bye" to Assam and the Northeast after the 1962 Chinese invasion into Bomdila near Tezpur. That memory grew with me as I grew up. Mentally, I could not connect with the rest of India as patriotically as I probably should have given that there were several uncles and aunts on both sides of my parent's families who had fought and endured torture to help earn India freedom in 1947. I connect with this article without an iota of hesitation. Assam and the NE are still somewhat 'forgotten'. The struggle of the people of Manipur is one of decolonisation and decentralisation. This can not be solved by infrastructure and economic development alone. Leaders in Delhi must show maturity and strong determination outside the military option. Northeast has seven states, not eight as written by Kaushik Basu. All the problems mentioned by Basu are there all over India, not just North East. I would advise him to travel more so that he will come to know more about problems in every state of India. The recent trip by the Prime Minister to Arunachal Pradesh is a step in the right direction toward improving the quality of life of people living in this state. However, the Government of India and the people of India should make every effort to extend this goodwill to the entire region and there must a concerted effort to develop this region. It'll be very tempting for people living in these states to turn to China for development. China, with its vast resources, can easily exploit the situation. I was travelling to Sikkim and Manipur a few years ago, and stopped in a shop on the road to buy some souvenirs. When i asked the owner of the shop where he got the cloth to make his garments, he said "its imported from India!". i was completely shocked because the last time i checked, Manipur was a part of India. I think the article is very one sided and cynical. While I agree that there is corruption, mismanagement, lack of infrastructure and so on. That is endemic to all of India and not something which is typically a "north east" problem. India is a very diverse nation state and over the last 60 years it has been evolving into a model where individual local identities can be preserved under the banner of one Nation, it is far from perfect but it is evolving. I agree with D. Basu that the north-eastern states are less assimilated. However, I disagree with Dr. Basu that north-eastern states are worse of than the rest of the India. The boom in Indian economy has only affected a small part of the Indian population, in ?mainland? India or otherwise. The rest still live in poverty. And the lives of the rest of the population in mainland India is no better than that of northeast. For example, have look at these stats in Wikipedia: 1. States of India by size of economy (per capita) 2. Indian states ranking by households having electricity 3. Indian states ranking by literacy rate. In economy (per capita), the worst among the ranked states are Bihar and UP. In the ranking of household having electricity, only one state from northeast is below Indian average (and the worst raking state is, again, Bihar.) In literacy, lo and behold, Mizoram tops the list! Also, there is no north-eastern state below the Indian average! From these data we can readily draw the following conclusions: 1. Are north-eastern states worse of than the rest of India? No! 2. Is there room for improvement? Yes! But the same is true for the rest of India. 3. Will the north-eastern states be better of as independent nations? I don't know an answer to that. But, if you look at other nations around that region, you will have a sense of it. Does Bangladesh have a better living condition than the north-eastern India? Is Nepal better off with their Maoist insurgence and more extreme poverty than India? Is Bhutan better of? How about Burma? By staying together, India has achieved more than any other nation in that region. Yes, India has its flaws. But now India is overcoming its flaws slowly but steadily. It hasn't reached the northeast and many other parts of India. But, that is going to change. I am a Manipuri. I have experience as a Manipuri, mainstream Indian and British. Kaushik Basu's study of the failed state of Manipur in 2-3 days is too simply simple. His three suggestions to ameliorate the woes of the people of Manipur and other North East states are farcical as if successive Delhi governments were not aware of them. Manipur has 50,000 Indian military personnel, 1 for every 24 Manipuris. I lived in Imphal. The short slip road to my house and others from the main road is still potholed and muddy with no improvement in the last 60 years. Interaction is not one sided. The Indian Government has definitely woken up to the need for development in North East India. An example is the effort of DONER (Ministry of Development of North Eastern Region) to lure foreign investors as far away as the US. In attendance at the NE India conference in New York last year there were many willing investors that posed the pertinent questions about law and order and infrastructure. The states own representatives could not assure of any future plans to improve conditions and address these issues. For attention to be drawn to NE India requires the collaboration of both state and central government. More importantly addressing the points Mr. Basu mentioned requires having honest and passionate people in government capable of making that difference. I completely agree with Mr Basu. If our politicians don't pay any attention now, the north-eastern region will completely get itself detached from the rest of the country. We have no right to claim it back. They have been neglected enough since 1947 and have every right to feel so. Shame on our politicians.